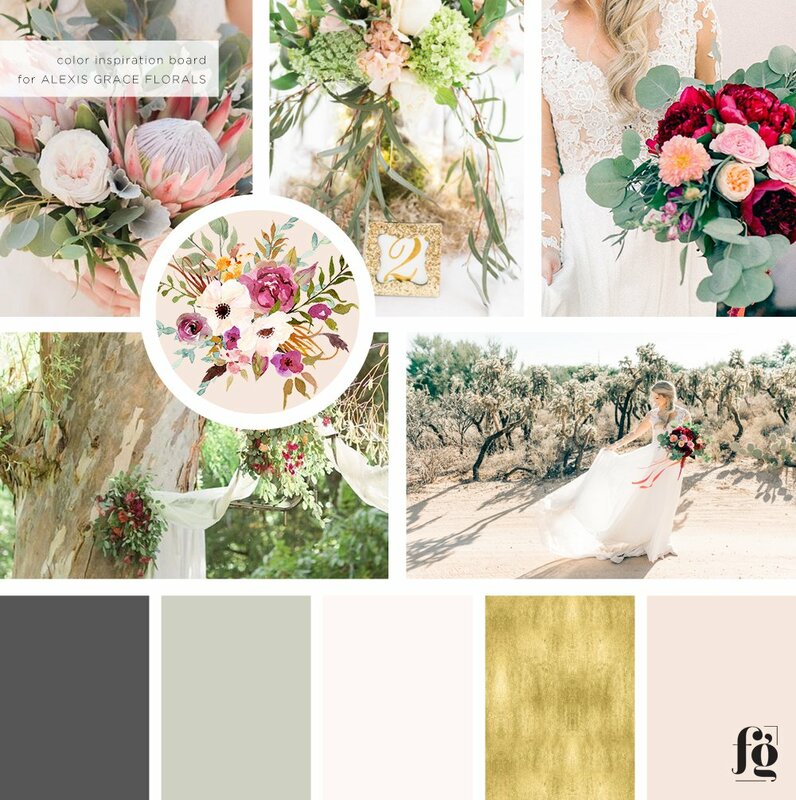 Alexis Grace is a very talented florist based in Southern Arizona. She saw one of the websites I designed last year and asked me to design her website and refresh her logo (just a minor font change). Alexis wanted a website that was elegant and easy to navigate, and showcases lots of photos of her work. I used very minimal design elements, opting instead to let her work speak for itself – her work is AMAZING. While her logo and imagery are very colorful, I chose to use pale colors for the website to let her work stand out all the more. 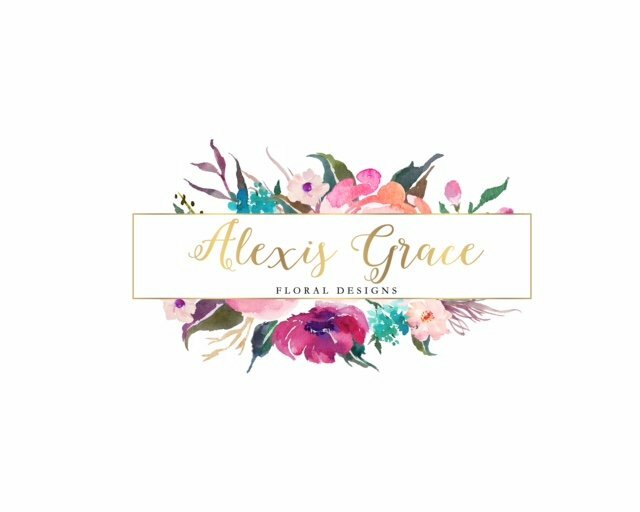 Alexis requested an update to her old logo (which someone else designed) – she wanted a more elegant, sophisticated look and we decided that a font change was the answer. The homepage design of her website shows a very clean, elegant header area with just the logo in the middle and the menu tabs on either side. The header stays on top when you scroll up to make navigation easier, but the background becomes slightly transparent, and the logo a bit smaller. Below the header is a slideshow of her favorite images, followed by a short blurb to introduce Alexis, then 3 call to action areas leading to pages that she wants people to visit, and then her favorite quote, and badges of prestigious publications where she has been featured. 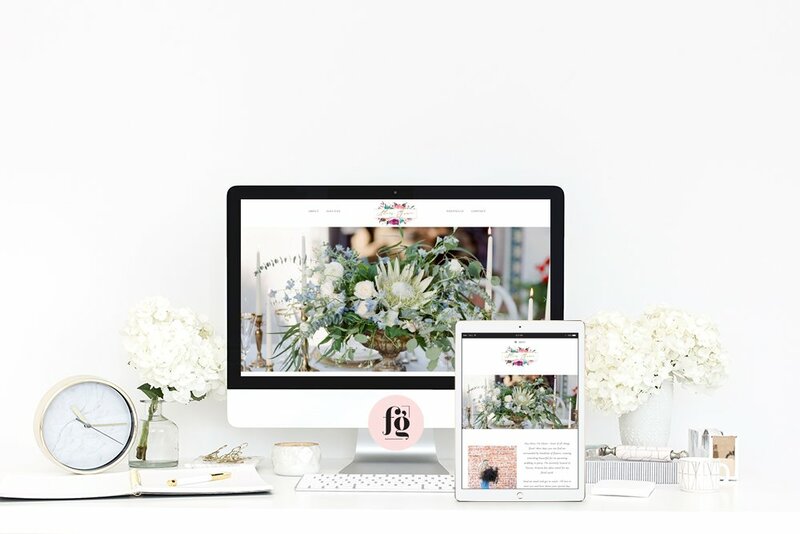 The rest of the pages follow the same aesthetic – clean, elegant, with lots of white space. It is important that the website would be mobile responsive, and I did make sure that it will look good on all devices. Do check out her website! Her portfolio is beautiful!